Published: May 14, 2012 at 10:51 a.m.
OWINGS MILLS, Md. -- A tape measure doesn't always possess the answer, and neither does a stopwatch or scale. So much of scouting in football is based on measurables, but what Ozzie Newsome focuses on while watching game film can't be measured. "You have to just see it," Newsome said. 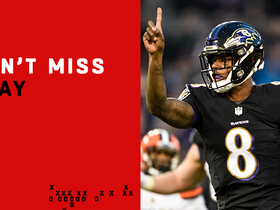 The Baltimore Ravens general manager has built a perennial playoff participant through the draft, and he's done so by spotlighting the kinds of players the organization is now known for: Those who play like they'd do it for free. Gritty, tough and with a love of the game. Hard-nosed, nasty and with a certain violence. If you were choosing sides for a street fight, think about how many Ravens you'd want on your team. Terrell Suggs. Ray Lewis. Haloti Ngata. And that's just the defense. Outside linebacker Courtney Upshaw, the team's highest draft pick in 2012 at No. 35 overall, is only the latest example. Newsome, director of player personnel Eric DeCosta and a respected scouting department seek out the attributes for which their players are now associated. And, as Newsome explained to NFL.com while watching Sunday's rookie minicamp, they've been willing to abandon long-held height/weight/speed guidelines in favor of a prospect who plays with fire. He can recognize it when he pops in tape of a college prospect. "You see it when a guy runs to the football," Newsome explained. "The way they play when they're not involved in the play, what are they doing? When he's not involved, is he running to the ball? Is he still playing with the fundamentals he's supposed to play with during that time?" By taking his eye off the ball and turning away from the play, Newsome believes he can find players with grit that outweighs physique. Considering the Ravens have made the playoffs four years in a row and boast 16 homegrown Pro Bowlers in their history, it's leading to wins. Nearly as important, it's leading to an attitude. Perhaps it's best exemplified by ageless linebacker Ray Lewis. "One thing (Lewis) has on his wall in his home is a sign that says, 'Pain is a gift from God,' " rookie receiver Tommy Streeter said after working out with Lewis this offseason. 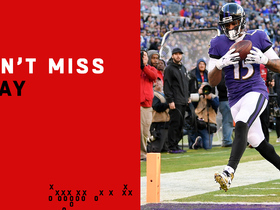 The Ravens put themselves through pain, then deliver it. Lewis has been doing it for years. He was actually part of Newsome's first draft class in Baltimore -- the pick that changed everything. Newsome took over the Ravens scouting department in 1996, after learning from then-Cleveland Browns coach Bill Belichick. Back then, they held strong to the height/weight/speed standards taught by Bill Parcells, who won using that method with the New York Giants. That was until coach Ted Marchibroda pulled Newsome aside and asked him to find players with passion who loved to play. Lewis, considered a small, quick University of Miami linebacker at 6-feet and roughly 230 pounds in 1996, was the prototype. "That led us to Ray Lewis, who actually didn't fit the height, weight and speed (standards), but he just enjoyed playing football and made all the plays," Newsome said. "And we started to build from that. This division has been a physical division, even when I played in it. So, when you match physicality with passion, along with height, weight and speed, now you get a picture of what we look for in players." It's not that they ignored players who fit the mold. It just wasn't the only thing that mattered. The goal was to fill the locker room with similar players, but the more they brought in, the easier it became. Draft a few like Lewis, Suggs and Ed Reed, and that zest to play football catches on. By the time defensive end Pernell McPhee and nose tackle Terrence Cody arrived, they simply went along. "Guys come in here and they see that's the way we do it, that's the way it's done," Newsome said. "They become them." Newsome brought up the example of defensive tackle Sam Adams, who the team signed in 2000. He had a reputation for being lazy, and some wondered if he was worth the money they paid him. The atmosphere made it so. "Everybody said (Adams) takes plays off," Newsome said. "Well, you come in, you can't do that. You got 10 guys running to the ball and you're not, you see it on tape and you go, 'Uh uh, I don't want that to be me.' "
Through the years, the Ravens have found compromising their ideals for players who have a hunger for the game has paid off. Running back Ray Rice is short at just 5-8. "But he's got everything else," Newsome said about the player who rushed for 1,364 yards and 12 touchdowns last year (and additionally caught 76 passes for 704 yards and three more scores). Receiver Anquan Boldin ran a 4.7 40-yard dash at the NFL Scouting Combine and he has probably never run a legitimate 4.4. "But Anquan's a player," Newsome said. Over the years, when players possess that passion, Newsome said, "they exceed the limitation that they have. They play above that limitation." Is Upshaw the latest example? The Ravens hope so. They targeted three players in the first round, then traded out of the No. 29 spot when it became clear one of those would be available later. They grabbed an extra fourth-rounder and still wound up with Upshaw at 35. Then, Suggs, the NFL's defensive player of the year in 2011, went down with a torn Achilles and took his 14 sacks with him. Suggs has vowed to return for at least part of the season, and coach John Harbaugh shares in his optimism, saying, "I'll take that outlook." Newsome said as much: "Right now, we're planning to have him." The team should know his fate by October. In the meantime, instead of competing with Paul Kruger for a job, Upshaw will join Kruger in attempting to replace Suggs as a rushing linebacker/end hybrid. Sergio Kindle and Albert McClellan will be in the mix, too. Though the Alabama product who had 8.5 sacks for the national champion Crimson Tide may be a little heavy in the 270s, Upshaw should be in a prime position to contribute when he trims down. Just 6-1, he'd be considered short to play linebacker in many systems. He also has short arms. Yet the Ravens, who called him a junkyard dog on draft night, were willing to take the chance because he has what Newsome looks for. "He plays with a sense of nastiness about him," Newsome said with a smile. "At some point, our players got to win the one-on-one battles and he wins the one-on-one battles when he's up against tackles or tight ends. He can win that one-on-one battle like Ngata can, like Suggs can, and eventually it's going to come down to you vs. him. We want more guys that can win more of the battles." Upshaw wanted to go to the Ravens, and he prayed about it after he was bypassed in the first round. When No. 35 came, his ecstasy was obvious. He can play the same position he played in college in a similar scheme. Upshaw is a physical player, and he joins a team full of them. He's soft-spoken, but a heavy hitter on the field. 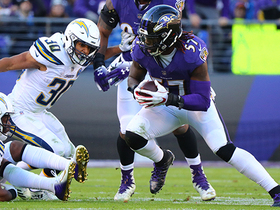 Upshaw won't let himself feel pressure about replacing Suggs, particularly because the infrastructure is in place for this defense to withstand the loss. When the organization sought to fill the team with passionate players, the goal was that the sum would be greater than the attributes of the parts. 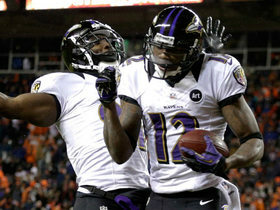 Year after year, the Ravens prove it. "I know the veteran leadership on this team is not going to allow slack on my part or anyone else," Upshaw said. No, this team won't allow that. The spirit that Lewis brought and Newsome sought pervades the huddle. "We got young guys that have learned to play the way we want them to play and then you still got Ray and Ed," Newsome said. "Courtney Upshaw will step in the huddle with Ray Lewis. Wait until he sees how Ray practices. 'Well, that's the way I should do it.' "